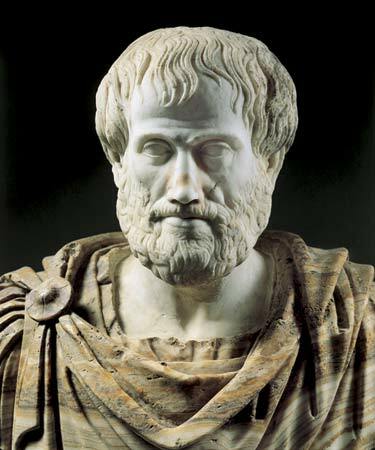 Greek Civilization was credited as the place where the western philosophy raised. Some said that Greek’s achievement in knowledge advancement especially in art and philosophy made it as teacher of Europe. This claim might be true, even Muslims world also benefited a lot from Greek’s legacy. A growing confidence in rational and conscious enquiry can be considered as the key of its achievement. This revolutionary idea emerged in the time when superstition and irrationality dominated the world. Greeks invented the philosophical questions, and then followed by coherent and logical explanations of things in order to solve problems or to arrive at ‘truth’. It is through wonder that men now begin and originally began to philosophise; wondering in the first place at obvious perplexities, and then by gradual progression raising questions about the greater matters too, e.g. about the changes of the moon and of the sun, about the stars and about the origin of the universe. Now he who wonders and is perplexed feels that he is ignorant (thus the myth lover is in a sense a philosopher since myth are compose of wonders; therefore if it was to escape ignorance that men studied philosophy, it is obvious that they pursued science for the sake of knowledge, and not for any practical utility. To certain extent, Aristotle’s statement above seems Islamic, even though Imam Abu Hamid Muhammad Al-Ghazali criticized it as he said those Greek philosopher’s notion of ‘knowledge without practice’ is such a deviation. Nevertheless, without undermining this great big scholar of Islam, Al-Ghazali might be misinterpreted Aristotle as for his access to Aristotle’s works depends fully on the authority of Ibnu Sina’s translations rather than the primary sources. Basically, the very nature of this paper is first; to illustrate in brief the pride and glory of Greek’s Philosophy Age by introducing its nature and highlighting its major achievement, great figures as well as legacy; second; to give a concise introductory to Hellenistic Period of Greek which signified by the death of the Great Alexander the Third. It consists of six sub-topics, excluding the Introduction: Historical Background which highlighting major events from early civilization existed in Greek until the fall of its civilization; Philosophy: A Brief Introductory that tries to define the concept of philosophy in general and relates it with the contribution done by the Greeks in this particular field; Pre-Socratic Era briefly explain the emergence of Greek’s philosophers before the coming of the famous Socrates; The Famous Three introduces the three most significant figures of Greek philosophers which are Socrates, Plato and Aristotle; Challenge of the Sophists explains why stress happened between the three famous and the sophist; The Hellenistic Period tries to give a concise historical background on the new era of Greek under the Macedonian’s Alexander the Great and the legacy he left behind and lastly the Conclusion which indicates the end of this writing. Greek civilization was preceded by an advanced civilization located on the lands surrounding the Aegean Sea from about 2000 B.C to 1200 B.C. Before the rise of city-states (polis) such as Athens, Sparta and Corinth, the first civilization to make its mark in Europe was the Minoan Civilization which centred in Crete. It was flourished between c. 3000 to c. 1400 B.C, and at its peak around 1600 B.C, during the late Bronze Age. Minoan civilization took its name from the legendary king Minos. The prosperity of it was based on maritime expertise and trades. They managed to make commercial connections from pharonic Egypt to Asia Minor. Massive earthquake, political and cultural decline and threat from outsiders became the factors of the fall of Minoan. By c. 1600 B.C, the Mycenaean, a late Bronze Age people from the south of mainland Greece, flourished in Peloponnese. They had arrived on Crete at c. 1400 B.C and invaded it and incorporated much of Minoan Civilization. They derived their great wealth from trade with Cyprus, Syria, Palestine, Egypt, and perhaps more distance countries. By c. 1250 B.C, Mycenaean Civilization collapsed. Many historians remain unclear about its collapse. However, Patrick K. O’Brien (ed.) in his Encyclopaedia of World History (2000) mentions that Mycenaean Civilization was taken over by the Dorian invaders from Epirus. But, all Historian of the ancient Greek are agreed that the collapse of Mycenaean has marked the ‘dark age’ of the ancient Greek civilization which took place in c. 1100-750 B.C. The emergence of city states signified a new stage of achievement by the Greeks. It was a major development in world politics. 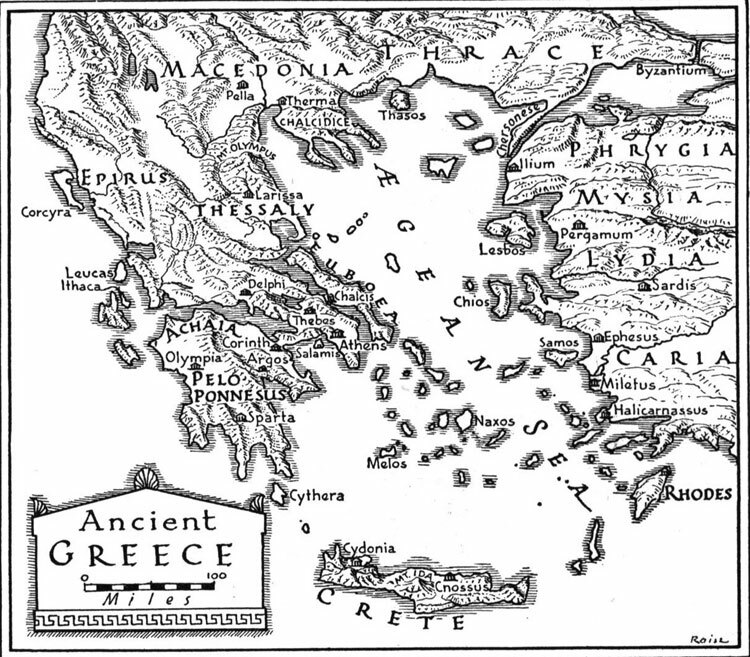 At the beginning of 5th century B.C, the Greek world was divided into a number of powerful city states. Each of them was independent; they controlling their own surrounding territory of land and applied their own system of government. Great states such as Athens, Sparta, and Corinth provided a variety of models for ruling through a system of law. Greeks loyalty were to their cities, thus lead to frequent wars between city states even though they shared many cultural ties such as common language, system of writing as well as religion. It is, from this point of period which also known among scholars as the Classical Age of Greece, the culture flourished; civic life existed in city states, the rich literature of Homer and Hesiod prevailed, while Greek architecture, literature, art and science were unsurpassed throughout the Mediterranean world. The Classical Age of Greek which emerged between 6th-4th centuries B.C is the most famous worldwide. The peak of the classical period is the 5th century BC, when the foundations of western civilization were put in Athens. This city-state became the greatest naval power of Greece that time and developed all domains of culture, including philosophy, music, drama, rhetoric and a new regime, democracy. In the time of Pericles, the politician who dominated Athenian life from 461-430 B.C, artists and sculptors adorned the city with magnificent monuments, including the Parthenon (a temple dedicated to Athena). Each year during the festival of Dionysus citizen flocked to the theatre to see the performance of plays by dramatists such as Aechylus and Sophocles, while thinkers like Socrates, Plato and Aristotle raised the study of philosophy to new heights. Then, the history of Greece is a succession of various invasions and dominations. In 334 BC, Alexander the Great invaded the Persian Empire and his army conquered all the way till India. However, in 323 B.C, the great emperor dies in Babylon and his Macedonian empire is torn apart and governed by his heirs. In 30 B.C onwards, the Romans conquered Greece and a new period starts for the Greek history. Adam Hart-Davis (ed.) (1997), History, London: Dorling Kindrsley Ltd., pp. 76-77. Patrick K. O’Brien (ed.) (2000), Encyclopaedia of World History, New York: Geoge Phillip Ltd., p. 272.